There were two excellent performances and one dodgy sketch from Lorde on this weekend's Saturday Night Live. 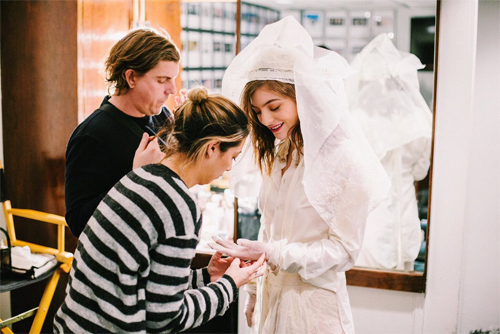 The New Zealander delivered pitch perfect renditions of Green Light and Liability from her forthcoming second album, Melodrama, the latter performed while drowning in a merenguey wedding dress ("I wanted to look like an attic moth, no sparkle, swaddled and floating. something so sad about white," she wrote on Twitter).